No Road In No Road Out, my illustrated travelogue about a journey up the Amazon, ended up as finalist in the first international reportage drawing competition! 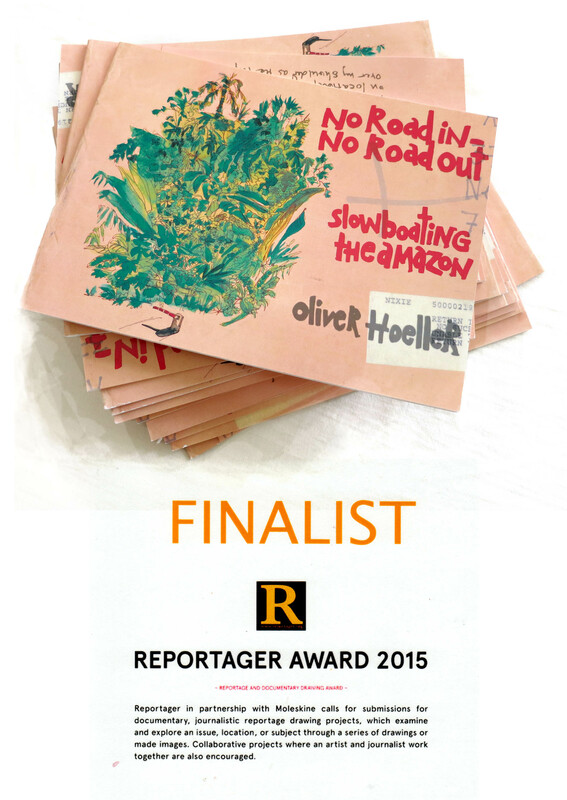 I am grateful to the jury of the Reportager award 2015, including eminent practitioners such as Lucinda Rogers, Olivier Kugler and Mel Reim as well as Prof. Mario Minichiello, Moleskine, and the editor of Reportager for selecting my work. An additional reason to get your copy on Amazon or this Sunday at the San Francisco Zine Fest.